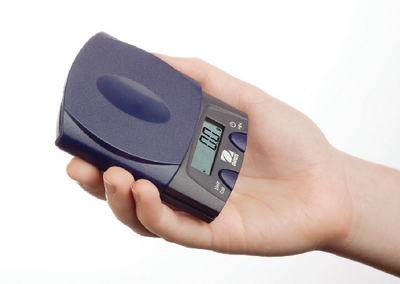 Pocket scales offer portable precision weighing in the palm of your hand. The smaller size of this scale allows you to carry it with you anywhere and comfortably use it in limited lab space situations. The scale’s user-friendly features include a simple two mechanical button operation, high contrast LCD screen, stability indicator, overload and underload indicators, low battery indicator, and auto shut-off. A unique “pop-out” design also enables fast and easy battery replacement. For durability and high performance, a sliding pan and cover protects the keys and display screen, while preventing load cell damage in transport. Accessories information: Requires two lithium batteries, included.